Choosing an online Six Sigma Certification program can be a challenge because there are more and more companies offering them than ever. We had our experts narrow it down to the top five companies and pour through each of their courses to simplify the process for you. Six Sigma Certification can impact your salary cap in a major way, so mastery of the LSS methodologies is essential. 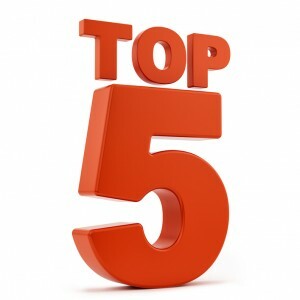 CRUSH has broken down the top five online Six Sigma Training courses on the market to help you find the one that best fits your needs. The comparison chart below will help you make the right choice! Video Instruction: In order to effectively convey important information to their students so that they actually understand it, Lean Sigma Corporation divides their video content into 21 learning modules that are fully animated and professionally narrated. Course Demo: We suggest students who are intimidated by this price should try the free course demo. This demo provides an example of Lean Sigma Corporation’s eLearning module and should help students decide if it’s the right course for their needs. Bottom Line: Lean Sigma Corporation offers excellent video content and more than enough PDU’s to make it one of the best Lean Six Sigma courses available to students. They even offer a demo in order to quell any anxiety from unsure students. Free Demo: MSI Certified’s Six Sigma course offers a free demo on their website so you can see if you like it before you buy anything. 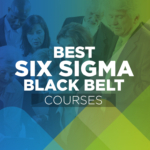 The fact that they offer free access to their study materials shows just how confident they are that their course will help you get your Six Sigma certification. Certification: With only a few competitors offering certification, MSI stands with a small crowd for course and certification. The cost of certification is also included in the course, making the total cost of the MSI program very reasonable. They even mail you a copy of your certificate. And your transcripts will always be available for future employers. Flexible: All of the training is online and structured in flexible manner, allowing you take the course at your own pace. You can speed through it if you have the time or map it out over the course of a year. The course expires one year after purchase, giving you plenty of time to complete the course. Bottom Line: If the flexible nature of MSI’s study material doesn’t convince you to give it a shot, their generous free demo just might. They are also one of the rare few Six Sigma prep courses to offer certification at the end. 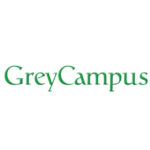 Combination Courses: Something that is hard for students to find that GreyCampus offers for their customers is a comprehensive course that combines the curriculum for both Green Belt and Black Belt courses. This package provides students with a complete education in these certs with a healthy amount of PDUs accompanying it. Certification Exam: In addition to providing students with the educational tools to pass the Six Sigma exams, GreyCampus even goes so far as to provide students access to take the exam immediately when they finish the program. Depending on what course the student is enrolled in, they will have the option of taking a certification exam that is up to the standards of either the ASQ or the IASSC. Instructor-Led Training: Many Six Sigma prep programs will simply offer access to personal study materials such as practice tests or textbooks, with a few pre-recorded lectures thrown in. GreyCampus offers these features as well in their Online Self Learning program; however, what really sets them apart from other educational resources is their other packages that incorporate live instruction from an experienced Six Sigma professional. Live Course Availability: Although the Traditional Classroom package offered by GreyCampus for both Green Belt and Black Belt prep courses is an excellent educational resource for students, the availability of these physical classrooms is limited. Unless they live near the East Coast, this option is likely to be out of the typical student’s budget. Bottom Line: The instructor-led course from GreyCampus is a fantastic resource for aspiring Six Sigma students, although its availability is limited for some locations. Bonus points for providing Green and Black Belt study. 64 Quizzes: With so much to cover in learning Six Sigma methodologies, it can be hard to self-assess your knowledge, but not with Simplilearn. The course is highly organized by industry experts and very efficiently covers the principles of DMAIC and how to implement Six Sigma. To help ensure you’re on track and retaining what you learn, the course features 64 quizzes, one for each of the chapters. 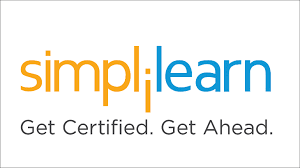 Simulation Exams: Simplilearn includes four simulation exams as part of the course. 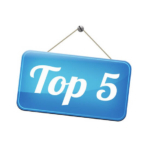 These exams will help prepare you for the actual ASQ Six Sigma Exam. Each one has been carefully crafted to simulate the actual exam with as much accuracy as possible. This is especially helpful for those that suffer from testing anxiety. Modular Design: Simplilearn features an amazing toolkit of modular design that breaks down the methodology from Six Sigma into modules that are easy to consume. Each module features the most up-to-date tools real world implementation. The lessons mirror the principles of waste reduction, a main component of Six Sigma. 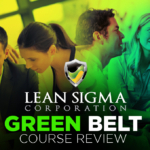 Exam Fee Not Included: Should you opt for the full Six Sigma training and Certification process, taking you from introduction to Green Belt to Black Belt, you’ll have to fork over the price of the exam. On the bright side, the package is offered at a competitive rate that takes this into account. Bottom Line: Simplilearn lives up to its name by designing their course in a modular fashion, allowing students to learn simply. With over 60 quizzes and a handful of simulation exams, this is an easy and effective study course. 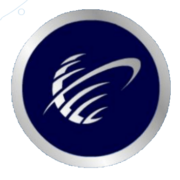 Certification: ExpertRating offers certification with their course, making it a one-stop-shop when becoming certified in Six Sigma. You will have to pay for a hard copy, but only shipping and handling. Online transcripts are available at any time for proving your credentials. This makes the affordable pricing even better. Combination Packages: Everything you need to take the course, study, and pass the exam is included in the up front price. There are no hidden fees. You won’t need to purchase additional study guides or textbooks. Everything is provided, even the exam. You also have thirty days from the time of purchase to decide if you want to continue the course or get a refund. Project Scenarios: When learning Six Sigma methodologies, it’s crucial to learning how to implement them. Learning the philosophies and principles associated with them are time and money saving efficient ways of managing projects. But you must learn more than just the ideas behind Six Sigma. ExpertRating utilizes implementation to help achieve true learning through the use of several project scenarios. There’s no better way to ensure you’ve learned a core concept than to put it into practice. Limited Number of Practice Questions: With only 200 practice questions ExpertRating lags behind its competitors. It’s as as a Six Sigma Certification course can be, which if you’re confident in the methodologies, then this might not be a bad thing. But if you need more, you’re better off with one of the other companies. 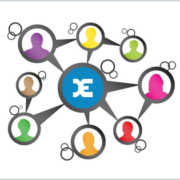 Bottom Line: One of the most convenient aspects of ExpertRating’s Six Sigma course is the all-in-one enrollment fee that covers every aspect of the process. Unfortunately, they have a disappointing lack of practice questions. Minitab Implementation: Minitab is a powerful tool for analyzing research data and a great many companies that use Six Sigma methodologies utilize Minitab. iCert Global’s Six Sigma Certification features levels I and II of Minitab implementation. This is one of the best features of their course because learning how to properly use Minitab is beneficial for any analytical process, not just Six Sigma. 3 Months Online Exam Simulator: After completion of the course, you have an amazingly long window of 3 months of exam simulation. Six Sigma methodologies are heavily data driven, requiring the acquisition of new modes of thinking and application. The simulator from iCert Global will help ensure you pass the first time. Black Belt Mentoring: As part of the Six Sigma Black Belt Certification course, you’ll participate in the mentoring program. 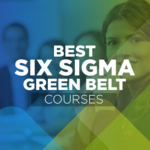 This unique aspect to the iCert Global course really ensures you learn the core concepts as you’ll have to serve as a mentor to someone taking the Green Belt Six Sigma Certification course. The best way to know if you’ve mastered something is if you can teach it to someone else. Bottom Line: While some students may balk at the idea of having to pay for an educational course only to teach other people, many individuals have found iCert’s mentoring program to be an effective learning tool.